The EGU General Assembly 2017 is held in Vienna during 23 – 28 April 2017. It brings together geoscientists from all over the world to one meeting covering all disciplines of the Earth, planetary and space sciences. 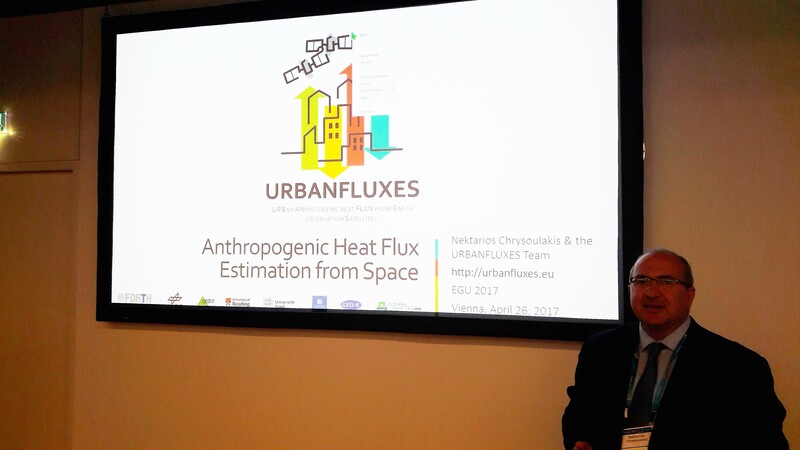 URBANFLUXES was invited to be presented in the session for Urban climate and urban biometeorology. 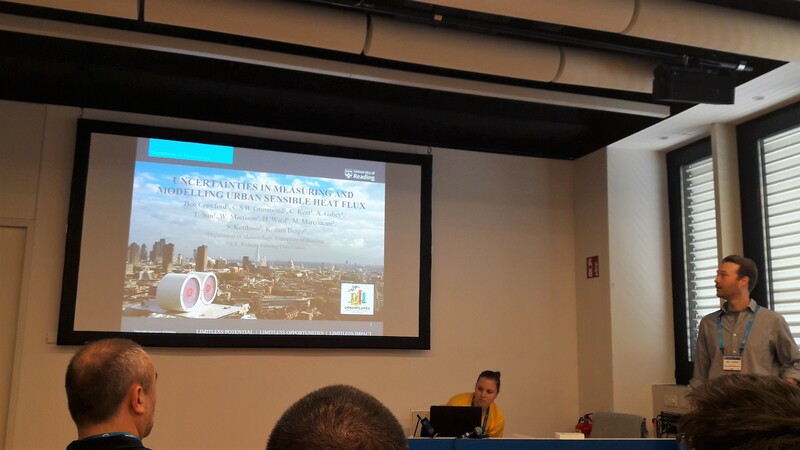 Dr. Nektarios Chrysoulakis has presented the latest findings of the second phase of the project. 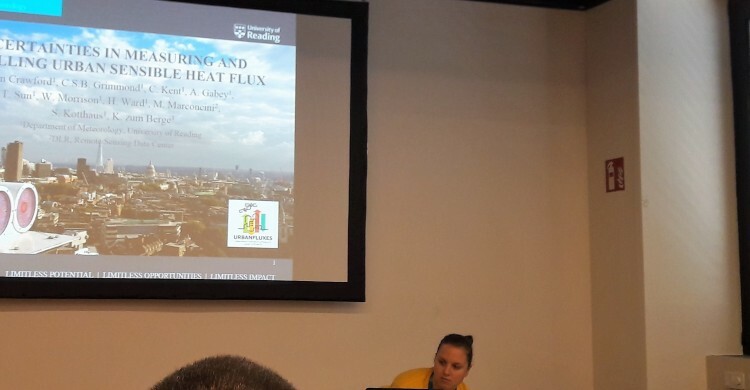 In the same session, Dr. Ben Crawford has presented detailed technical information about the measurement and modeling of the urban turbulent heat fluxes in the URBANFLUXES case study of London.